Politicians must pick their battles carefully, decide which causes to champion, decide on which issues they will invest their energies and political capital. For Edmonton Area MP and Autism Dad Mike Lake the choice is clear cut. Lake did NOT support the cause of autism in voting against MP Shawn Murphy’s motion to amend the Canada Health Act to include treatment for autism. Mr. Lake did not protest his party’s decision in the recent federal budget to fund ZERO dollars towards the cause of autism in Canada. In fairness to Mr. Lake though he does have a more important cause to champion- BIGFOOT!!!! Yup, Mr. Lake is the official BIGFOOT Champion. Mike Lake Bigfoot Champion!! OTTAWA (AFP) – Bigfoot, the legendary hairy man-like beast said to roam the wildernesses of North America, is not shy, merely so rare it risks extinction and should be protected as an endangered species. 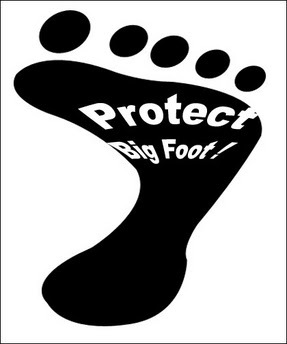 So says Canadian MP Mike Lake who has called for Bigfoot to be protected under Canada’s species at risk act, alongside Whooping Cranes, Blue Whales, and Red Mulberry trees. “The debate over their (Bigfoot’s) existence is moot in the circumstance of their tenuous hold on merely existing,” reads a petition presented by Lake to parliament in March and due to be discussed next week. Are you serious? Is this for real? I just can’t believe this is real! There are many bigger issues that need attention. Wheew!! Yes it is real Dawn. The NYT has taken note of “Bigfoot” Mike Lake! OMG…seriously I am laughing, as things have hit an all time low on the Hill in Ottawa! Bigfoot Mike Lake’s petition has attracted attention around the world, NY, Germany, South Africa … One Canadian science journalist living in the US has stated that Lake has embarrased Canada with his petition. The petition is for real, the rest of the AFP news story is not.